I humbly apologize for Toyota Motor Company’s recent spate of issues with our vehicles regarding safety. Moreover, our “overt cover-up” is far more shameful and worthy of scorn. When the issue began to arise, we covered it up by offering an open-market recall centered on the floor mats, which we considered to be the problem. When the issue continued we issued another recall, then another and another at a cost of hundreds of millions of dollars. This attempt to alleviate the situation, this “cover-up”, was shameful and perhaps even criminal. In our defense, this response seemed appropriate at the time because that is what our “big brothers” GM and Ford had done over the years as they dealt with their faulty vehicles. Ford, your very own American icon, leads the world in recalls. They being far more experienced with defective products than Toyota, we chose to follow their example of how best to deal with the problem. They have always led the industry in faulty products and have always followed these with an exemplar response. First they deny. Then they rationalize. Next they point fingers and hand wring. Then they apologize profusely as they recall and recall some more. We simply thought this was the appropriate response, as established by industry icons. We thought this was standard practice, not an overt cover-up. We were far too inexperienced with faulty production to know any other way around the problem. The racehorse would never try to emulate the donkey. So too was it misguided for our company to try to imitate theirs. However, this has not been our only mistake. Toyota’s recent errant ways in safety stem from a negligent approach to manufacturing. This, in turn, has stemmed from another industry trick we’ve copied from our American predecessors, a little thing they call “streamlining”. This is an industry term that means build the car for less but charge the same or perhaps even more for it. We decided to meddle in streamlining back in the 80’s but really kicked it into high gear in the 90’s. We built manufacturing plants all over the United States, rather than build the entire car back in Japan and then ship the finished product to sell here. It saved us billions of dollars. We still made the same car, same specs, same everything. Then over the years, we turned more and more of the manufacturing to more and more regional factories. We, as you sports-fanatical Americans like to say, took our eyes off the ball. We should have anticipated that a company like Indiana-based CTS Corp would have manufactured our parts adequately but with their own “streamlining” in mind. They would have contracted the job of making, say the gas pedal, to a plant up in Canada, say. They in turn might have contracted still another company somewhere else entirely to take charge of installation. Now our little gas pedal is three or four points removed from our ideal, our vision as a company. Yes, not only did we take our eye off the ball, we handed it off to people who aren’t even really on our team. Again, our mistake was to follow the lead of our predecessors, the pioneers of car manufacturing. We have failed to realize that over the last 3 decades we, in fact, had become the pioneers of the industry. We should have known better than to second guess our vision. Streamlining is a term used to mean cutting corners. Though such practices may serve our American competitors just fine, we never should have adopted such practices in our company. The jobs we brought to the United States were not worth the cost to the quality of our product. The increase in profit we brought to our company was not worth the drop in public confidence. These are mistakes I promise you we will learn from. Honorable ladies and gentlemen, many of my colleagues at Toyota Motor Company have suggested that perhaps this entire hearing is the result of an inter-industry battle, a witch hunt. They suggest that perhaps because you individuals, as U.S. citizens and taxpayers, now own GM that this has been an attack at your strongest competitor. They foolishly believe that you are merely motivated by forthcoming elections and you want to appear to be strong on safety and fierce against a foreign rival. Let me assure you that I have emphatically refused to believe this. You are caretakers of the public good. You are motivated by concern and compassion for your constituents. I admire this. I too must be motivated by the concern and compassion of my customers. 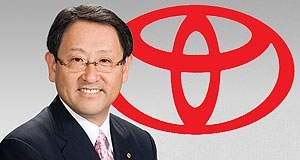 Therefore, I intend to go back to the business model that made Toyota so great. We will close all of our American plants. We will cancel all contracts with regional manufacturers, whom we have little oversight over. We will return to a complete-process model of manufacturing in Japan. There we can control costs, oversight and quality. The bad news is this will cost tens of thousands of North American jobs. The good news is this will once again assure a high-quality, safe product. I know that this is what you honorable ladies and gentlemen truly seek here today. Rest assured that we will continue to keep costs low and quality high. Though our American sales will undoubtedly take a significant hit with most Americans out of work and unable to afford our product, our cars will remain affordable for those Americans lucky enough to have work. Also, after we “downsize” as you like to say, we will be able to focus primarily on our other markets around the world. We think this is a practical solution and an appropriate model in this topsy-turvy, man bites dog world we’ve created. Perhaps one day our big American brothers will follow our lead. Again, honorable ladies and gentlemen, I offer my sincere apologies for letting my company grow so far away from my watchful eye. I pledge my commitment to resolving this issue at once. Thank you for your attention, courage and pioneering leadership. I am both shamed and honored before you here today. 1. to make slow; delay the development or progress of (an action, process, etc. ); hinder or impede. 1. 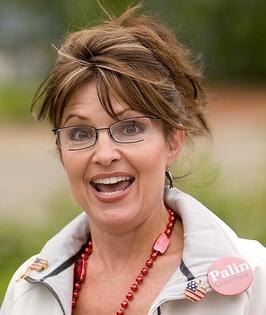 Sarah Palin retarded John McCain’s campaign machine with her ineptitude and general smarminess. 2. Sarah Palin felt her meteoric ascendance to national infamy had irrevocably retarded her ability to govern the state of Alaska, so she quit. 3. Fox News retards the progress of journalism each and every day, and now Sarah Palin has joined forces to help retard it even further. 4. Fox News retards the thinking processes of countless Americans each and every day, and now Sarah Palin has joined forces to help retard them even further. There is a growing campaign to do away with the derogatory use of the “R-word” – truly a worthwhile movement, long overdue. Visit http://www.r-word.org and sign a pledge to not misuse the word. However, it is a perfectly good word to use in the correct context, as in the examples above. So put an end to the misuse of this word and bring back its proper usage.